Craigie Woodworks design, make and fit bespoke handcrafted kitchens throughout Wiltshire. In the last few years we have worked on projects in or around Marlborough, Salisbury, Chippenham, Devizes and Swindon. 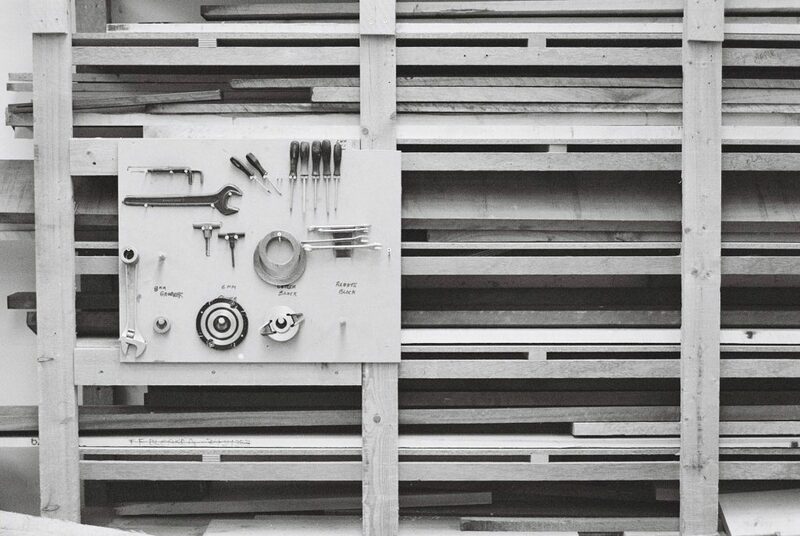 Our kitchens are not products from a particular ‘range’: each of the handmade kitchens that we build is a one-off design that emerges from a collaboration between the customer and ourselves. Often it is useful for the customer to come to our workshop where we always have one or two kitchens in various stages of production. We very much welcome customer visits – and since our workshop is just the other side of the Wiltshire border, it’s not too far- then the customer can really get a feel for the materials that we are using and the quality of the craftsmanship. As for materials, we most commonly use quarter-sawn oak veneered panels for the interiors of cabinets. This is paler than many people’s idea of oak but is a lovely warm material. We apply three coats of hardwax oil to it to seal and protect it. Where any of these oak veneered panels are to have exposed edges, for example the front edges of adjustable shelves, we lip them with solid oak to resist knocks. This is much more satisfactory than glued-on tape which, in time, tends to fray around the edges and sometimes delaminates. Where the visible outside joinery is to be painted, we use tulipwood (an American Poplar species) which is stable and takes paint very well. 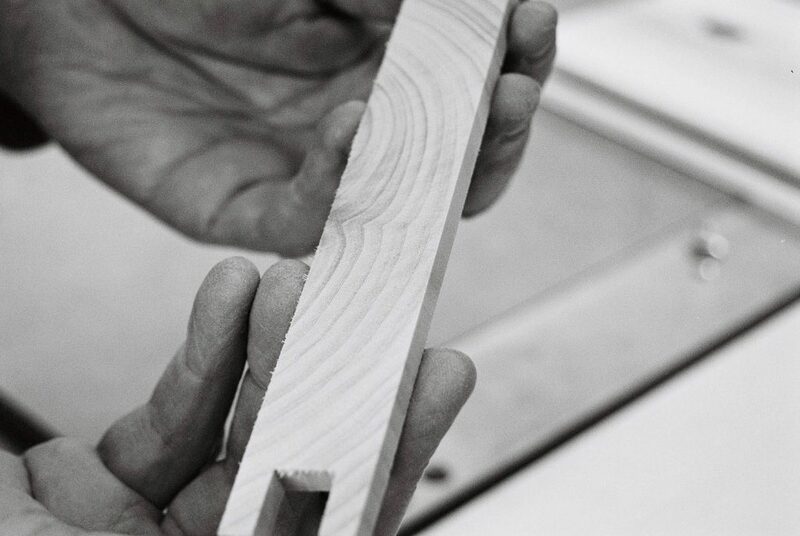 If the outside joinery is to be natural wood, we use any number of species. Our customers often choose to have recessed panels in the doors with no mouldings; but, equally, we often make doors with various sorts of mouldings. 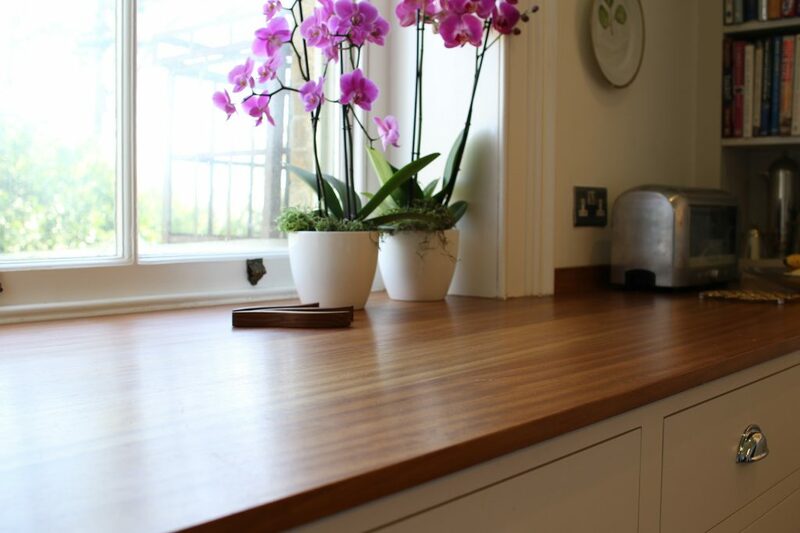 As for worktops, if they are to be timber we most often make them up ourselves from FSC-approved Oak or Iroko or Black Walnut wide planks (or some other species.) Sometimes for budgetary reason we buy in factory-produced timber worktops and then fit them. Otherwise, granite remains a very popular choice because of its beauty, low maintenance and toughness. Quartz is very popular too and its wide range of colours, particularly at the paler end of the spectrum, can give it an advantage over granite. Our granite suppliers are Bath Granite and Marble. 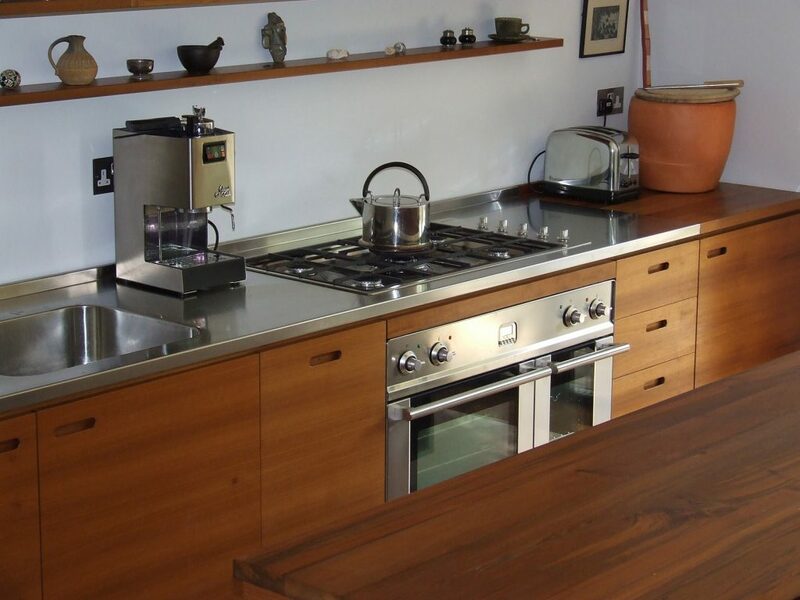 We also make kitchens with stainless steel worktops. Our suppliers are Cavendish Equipment. 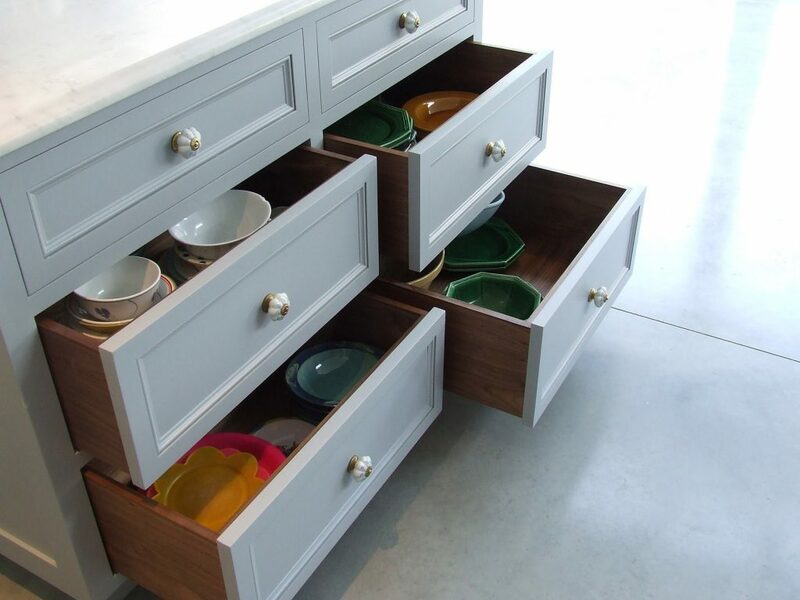 We aim to offer our customers our design and furniture-making expertise to produce kitchens that they really love.